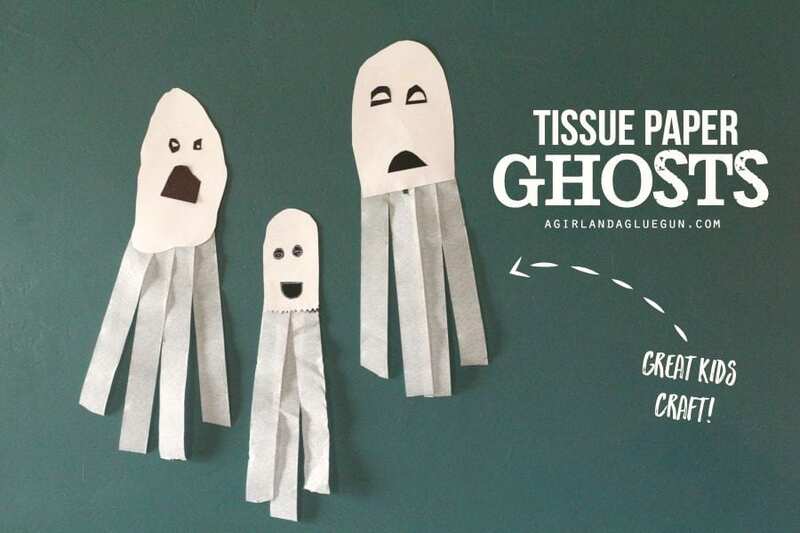 Tissue Paper Ghosts–great kids craft! This post is part of CRAFT LIGHTING!!! Make sure to click over…because my favorite thing besides crafting is FAST CRAFTING!! 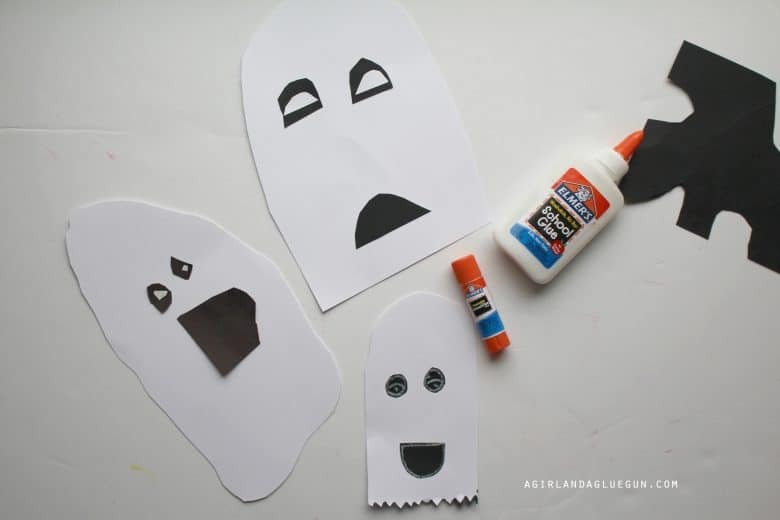 These super fun and easy kids craft ghosts are perfect to kick off the Halloween festivities! These guys are super easy but I love how each one is so different! 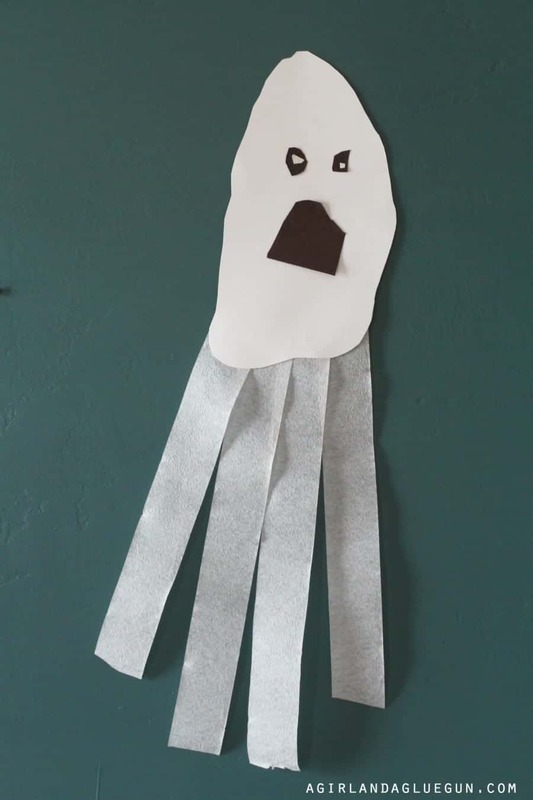 Draw and cut out a ghost head…and glue on some eyeballs and a mouth. 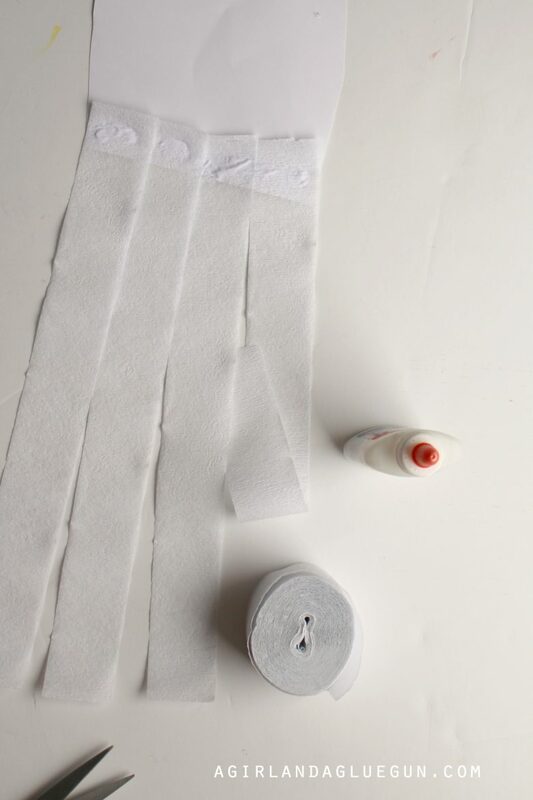 Flip over and glue or tape on tissue paper to the bottom and then hang on the wall! 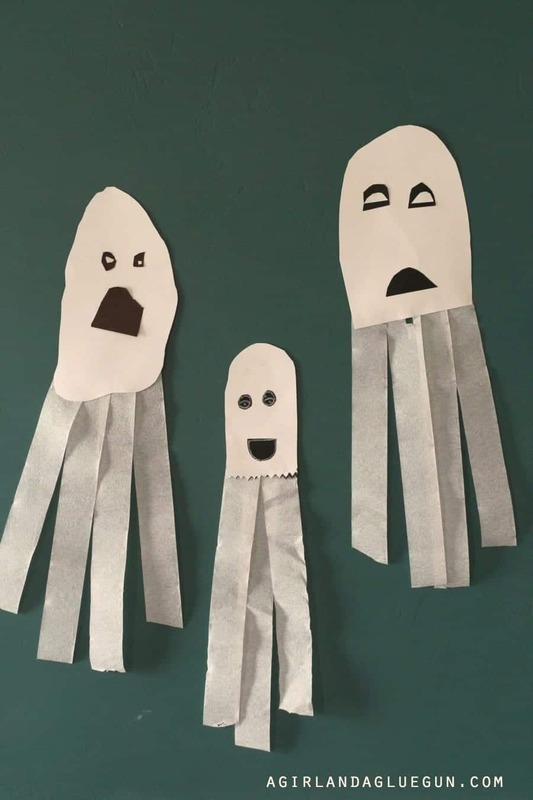 The weather is cold and snowy here during Halloween…but if you live in a warm weather state these would be fun to hang outside..the wind will cause the tissue paper to ruffle and move! 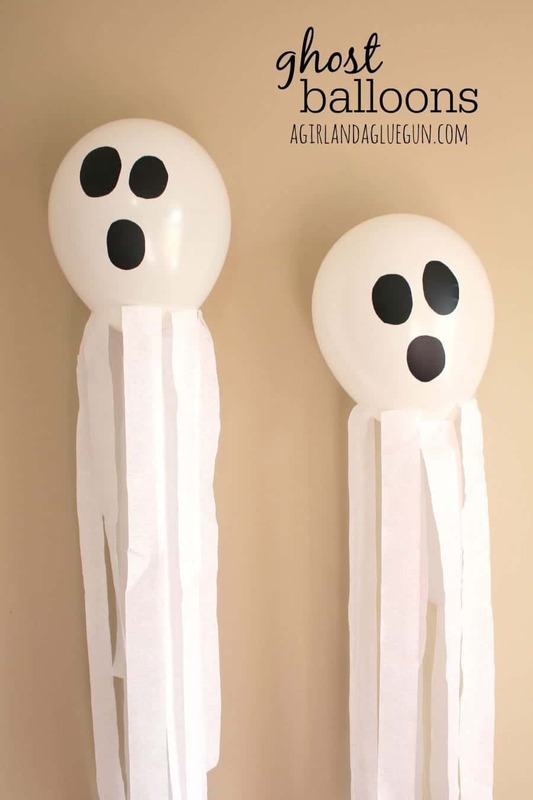 I also made a fun ghost balloons! Perfect for a fun party!